We offer two varieties of plastic holders to keep your auto dealership or repair shop's work order forms and job tickets free from dust, dirt, oil, and grime. 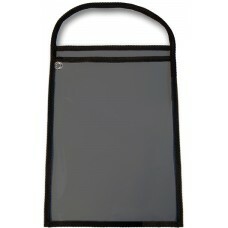 The 11in x 14in clear front and back holders allow you to see the front and back of your paperwork, while the 11in x 13in black back holders have a clear front so that only the front of your paperwork is visible. 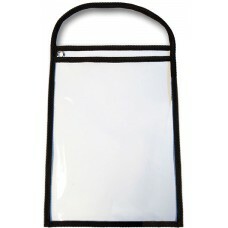 Both styles feature stitched nylon webbing on both sides and a durable metal grommet for hanging on a hook or pegboard. The nylon strap allows for easy hanging on the vehicle's side-view mirror.